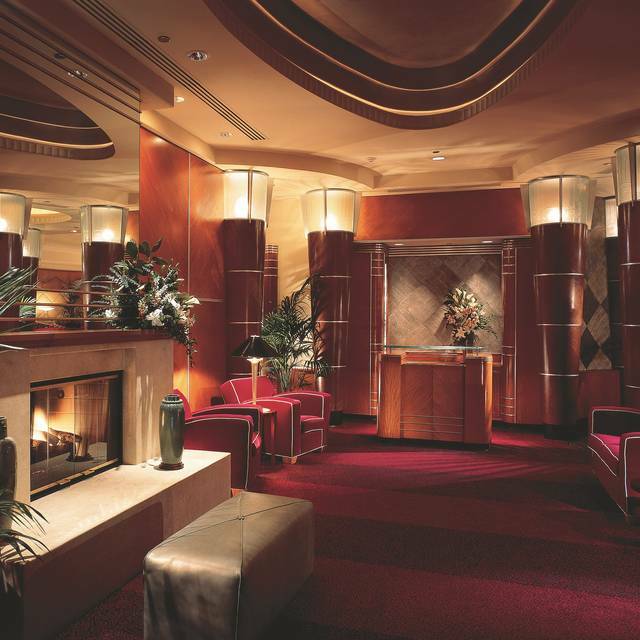 Complimentary valet parking is offered to all guests. Taxi Cab and hotel shuttles are accessible to guest. 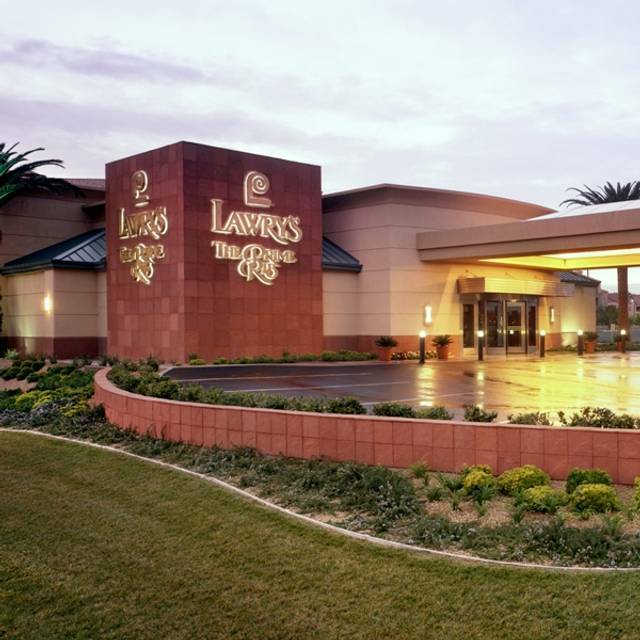 Lawry's is located 1/4 mile East of Las Vegas Blvd. at the intersection of Flamingo and Howard Hughes Parkway. There are no public transit stops accessible from Las Vegas Blvd, however there are many hotels that have shuttles and taxi cabs available. Contact our Sales and Banquet coordinator Michelle Rizzo to arrange catering for all size parties and types of events at your home, office or other special location. Lawry's Las Vegas offers delivery through Grub Hub and Postmates. Our name is our specialty: roasted prime ribs of beef. We serve the finest aged beef available, slowly roasted to perfection and carved tableside from our famous silver carts. While roasted prime ribs of beef continue to be the centerpiece of our menu since 1938, rib-eye steaks, fresh fish, and lobster, are core offerings. 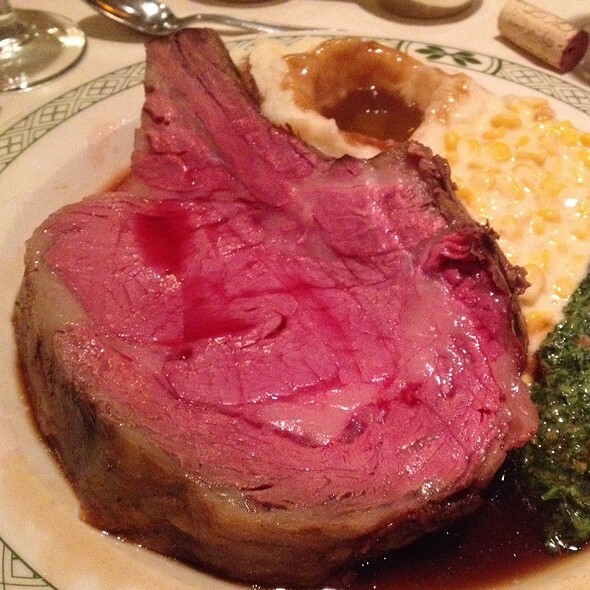 You'll know the moment you arrive nothing like Lawry's The Prime Rib has been seen before in Las Vegas. The restaurant's dramatic Art Deco design, rich woods and vibrant color welcome you into a setting that has an extraordinary feeling of warmth and elegance. 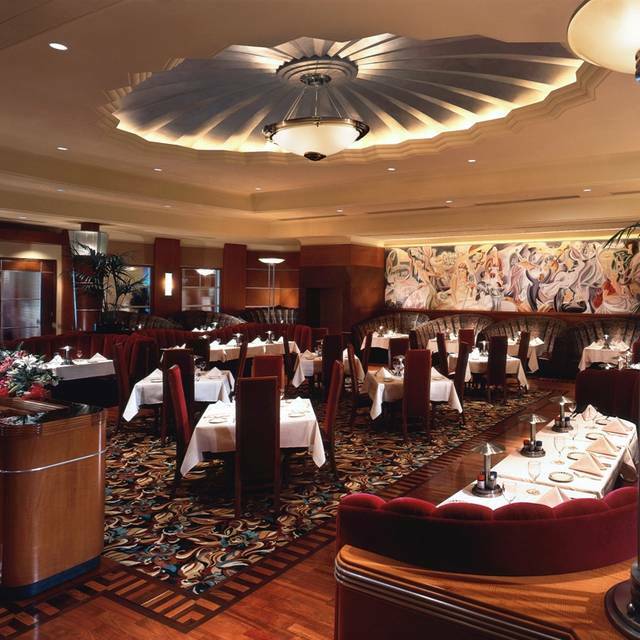 Here you'll find award winning food, exceptional service and unmistakable style that has made Lawry's a dining legend. Further information regarding location, dress code and menu pricing is available at LawrysOnline.com or 702-893-2223. General Manager Ed Lepere, Executive Chef David Simmons, and all the Lawry's co-workers look forward to you dining with us. The food was too salty. The meat was very fatty. I wasn’t satisfied with my experience. Prime Rib tender and delicious. Service top drawer. I really enjoyed this experience. I was taking a friend from church to Lawry's to celebrate on Easter Sunday. My friend is 88 years old and she said she really enjoyed this experience. I think it helped that we had an excellent wait staff being led by Ms. Otis (Angela?). She was not only energetic but told us the story of how Lawry's got started. We both had a great time hearing her tell us about how Lawry's was the first restaurant to start the tradition of serving salad before dinner. I really appreciated the whole experience and would definitely return to Lawry's. And I would love to see one created in the Denver metro area where I currently live. Always a treat for Easter and Thanksgiving for my family. Service was excellent! Food was superb! Best experience. Waitress Ariel was outstanding and made our experience the best ever. Never have we had more fun and treated as well and we have dined all over the entire country. We will be back often and look for her. You are lucky to have her. The experience was fun, its iconic. Our server was friendly but we spent a lot of time waiting while she tended to other larger parties ( I don't feel this is her fault ) for the price I felt as though it was a little underwhelming food was just luke warm. There are so many wonderful places at that price point. Perhaps we came on a bad night? Husband had said he had been before and had a better experience in the past. Good prime rib, no doubt. Not sure it's worth the menu price commanded anymore. The worst service ever encountered at a Lawry's property made for a less than enjoyable dining experience. As a Vegas local, I'd likely pass on this restaurant in the future unless dragged there by out-of-town guests impressed by the name and reputation. A family get-together, eleven people ages10 to 74. Requested and received a private room. The staff waiting on us were friendly, professional, accommodating and wonderful with the children. 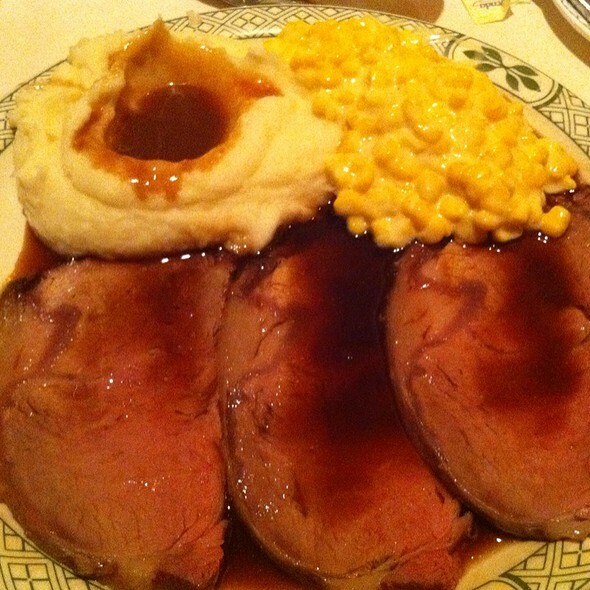 Wonderful food as Lawry’s always is. Very personable staff. Friendly, helpful, knowledgeable. Prime rib very , very good. 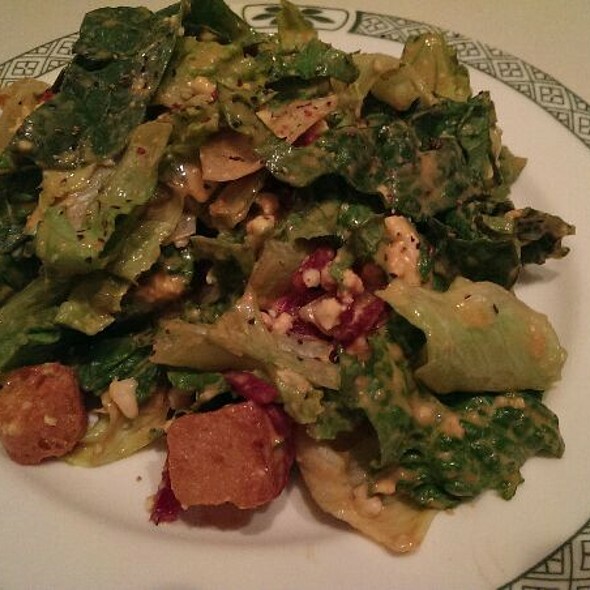 Salad excellent. Sides excellent. Short and sweet...best prime rib ever!!! We have been going to Lawry's since it opened. Our favorite waitress is the OUTSTANDING MS. PATTY BENDER. It was my 70th birthday and they decorated the table with flowers and a birthday balloon. We keep in contact with Ms. Bender through the year and when we go to Vegas, we make reservations and always request her. She is kind hearted, sweet and takes great care of us. ALSO, Fernando is a favorite of ours too. He always greets us by name and we love talking to him and it is nice to see his big smile. Thank you for taking such great care of us when we are in Vegas. A great experience. 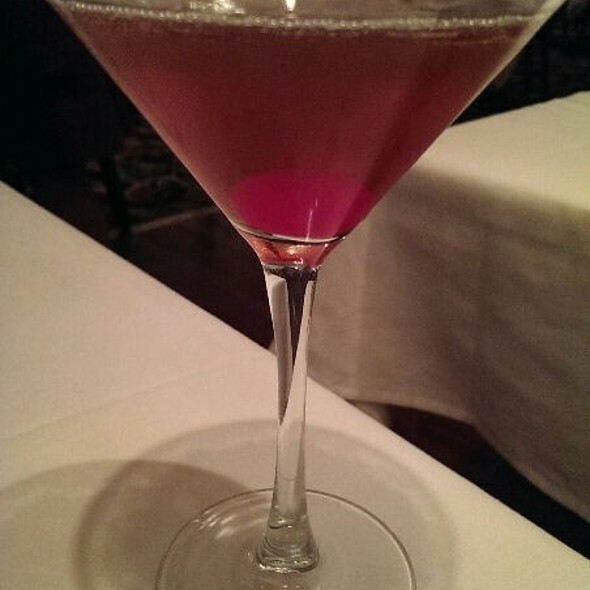 The food is outstanding, the service is excellent, very comfortable and quiet for a wonderful evening with friends. I have been dining at Lawry's since the early 80's. It never fails to impress me. The service and food are always outstanding. The restaurant is actually quiet enough that you can have a conversation with people at your table. If you like tradition, excellent food and service, great ambience, this is your place. Our server was very responsive and friendly. Food was delicious and cooked perfectly. One of the things I judge all restaurants by is the service and one aspect is how quickly my water is refilled. My water level never hit bottom and it never had too much ice. 5 stars. Loved the ambiance. It felt like we were in the 30s at a true fine dining establishment. The service was great and very personable. Food was delicious! Great prime rib. It was however extremely expensive, so I will likely not be going again. The food and service were GREAT! 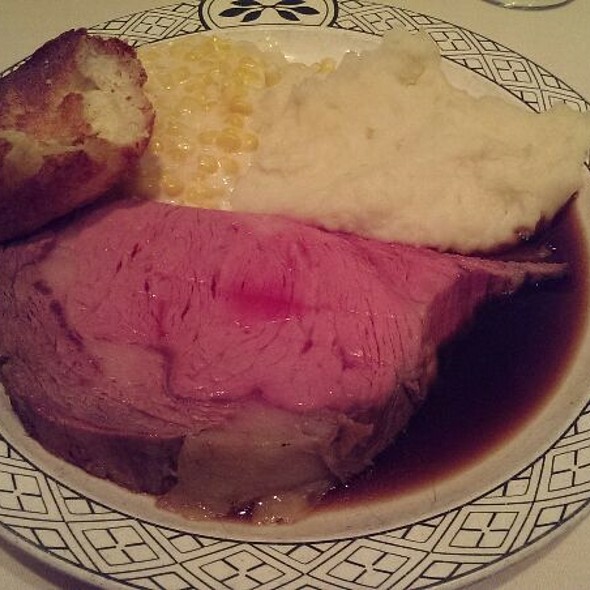 Would recommend Lawry’s to any prime rib lover. It is expensive but well worth it. Always a 5 star experience!!!! Wonderful service. Ms. Arias and Ms. Guevara are gems; they handled a very challenging situation (seat changes, missing diners, a two year old in meltdown mode) with aplomb and great humor, and made us feel like VIPs and treasured regulars. They are a fantastic team. 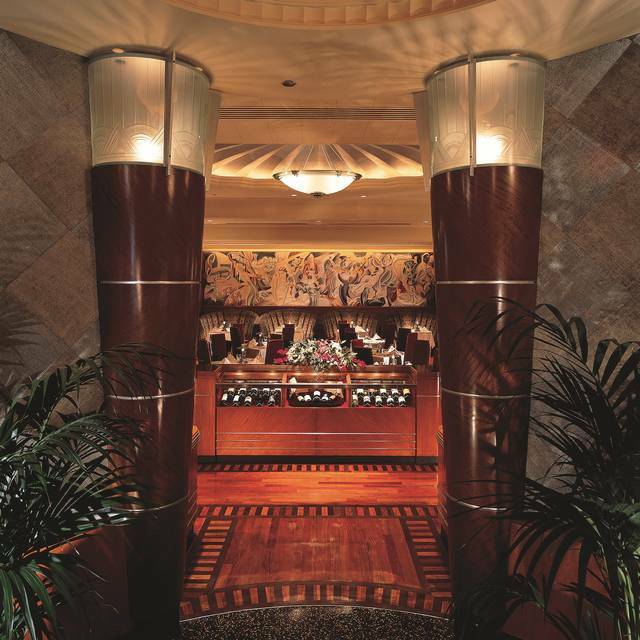 We consider Lawry’s the best prime rib in Las Vegas and that’s saying a lot considering the excellent restaurants here. who were treated like royalty. I highly recommend this restaurant to every beef lover. Everything is as traditional as it comes from uniforms to food. Fun ambiance. Old fashioned great service table side. Fantastic prime rib and filet. Just wish I had room for one of their desserts. As always, the service was great and this is the only place I really enjoy prime rib. This restaurant consistently has the best Prime Rib, The service is always great, all the food it quality! The atmosphere is nice and the bar outside the dining area gives you a nice area to wait and get a drink before your dining experience. We come to Vegas every year and never knew about your restaurant until our neighbor told us about it who used to live in Vegas. We’re sorry we didn’t know about it until now because we totally enjoyed our complete dining experience, and if we only knew how wonderful your restaurant is, we would have made sure we made it our first priority in all of our past trips to LV. You can be sure we’ll be back next time!!! Not the normal response in making reservations . Drew was a great waiter. We have had him several times. Food is always excellent. Unfortunately our experience was slightly ruined by the fact that our waitress charged my friend almost $50 for a lobster tail to go with his prime rib. We saw on their website before we went it was an option & much less money than that. The single biggest and really only issue is that she never mentioned the price when he ordered it. While he certainly enjoyed it and we can afford it, we felt kind of screwed. Buyer beware!!! Great service and the food was as good as I remember I had at the Beverly Hills restaurant many years ago.